We find ourselves in a precarious time, when the most vulnerable in our community are in danger. It is at times like these that artists lead us in resistance and remind us of the strength and resiliency of our community. 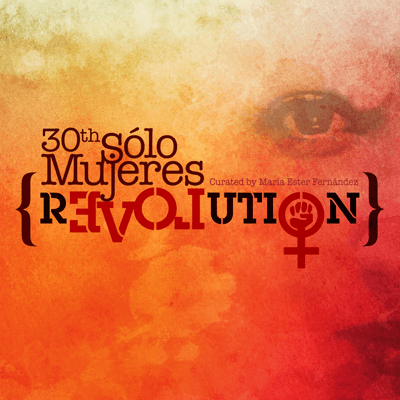 The 30th anniversary of Solo Mujeres at the Mission Cultural Center marks a time to reflect on this enduring legacy of creativity and of the power of mujeres envisioning new possibilities for our community. This year’s exhibition is a celebration honoring resistance, which takes many forms, but is rooted in the revolutionary act of love. María Esther Fernández is a curator and writer. Currently, she is the Curator of Art & Education at the Triton Museum of Art in Santa Clara, CA. has curated group and solo exhibitions, notably, Xicana: Reflexiones Espirituales in 2010 and Consuelo Jimenez Underwood: Welcome to Flower-Landia in 2013. Along with serving on the curatorial team, she specializes in developing visual arts curriculum reflective of diverse or under-served audiences. She has been a grant reviewer and juror, most recently with the Silicon Valley Creates Artist Laureate Grant and the San Francisco Foundation Murphy Award and Cadogan Scholarships. In addition, she is the recipient of the Standing Committee on Education (EdCom) American Association of Museum’s Multicultural Fellowship and the Smithsonian Latino Museum Studies Program Fellowship, and a member of the first ACT of Silicon Valley’s Multicultural Arts Leadership Initiative (MALI).